※大画面Wi-Fiタブレット、3G+GSMデュアル携帯ですので無線LANはもちろんのこと、世界中での携帯使用ソフトバンク,OCN モバイル .iJIMIO etc.のSIMが日本で使用可能です。 主な仕様 SANEI G605（中国製） ● 850 / 900 /1800 /1900 - WCDMA 2100 ● SIM SIM 1 Mini / SIM 2 Micro ● SCREEN 6.5” ● Android 4.1.2 OS / Dual Core 1.0GHz / 4GB (max.32) RAM 512mb ● DualCam ,Wi-Fi, Face, Skype, etc. ● Color White It can be used also as a phone here or outside of Japan In Japan supports Softbank including Pre - Paid Sanei G605 built-in Taiwan MTK processor, synonymous with quality and excellent performance, maturity structure, stable performance, leading the trend of development of communication tablet. And through the company's engineers and solution providers of fully optimized, more robust performance, world-class applications. 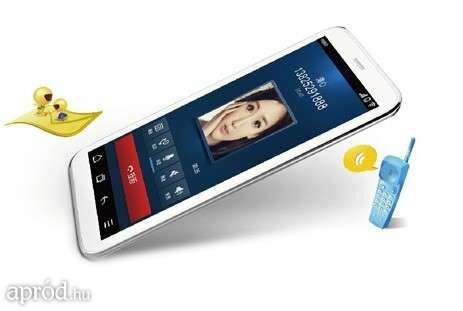 In recent days, the famous domestic digital brand SANEI discloses a phablet with the mode of G605, which is of dual-core and 3G. But the size is not the regular 7 inch, instead, the 6.5 inch is adopted. This is the first edition of 6.5-inch Phablet which supports 3G network as well as calling. It adopts the light and thin design of 6.5-inch gadget, which is the phone as well as tablet. First, compared with the ordinary smart phones, SANEI G605 is 6.5-inch screen is larger. Second, compared with most tablets, Sanei G605 3G version is more portable, which can be put into the bag as well as in the pocket. Third, the 6.5-inch gadget can be held with just one hand and you won’t feel tired even with calling or playing games for a long time. It can be used also as a phone here or outside of Japan In Japan supports Softbank or Docomo, including Pre - Paid Sanei G605 built-in Taiwan MTK processor, synonymous with quality and excellent performance, maturity structure, stable performance, leading the trend of development of communication tablet. And through the company's engineers and solution providers of fully optimized, more robust performance, world-class applications. In recent days, the famous domestic digital brand SANEI discloses a phablet with the mode of G605, which is of dual-core and 3G. But the size is not the regular 7 inch, instead, the 6.5 inch is adopted. This is the first edition of 6.5-inch Phablet which supports 3G network as well as calling. It adopts the light and thin design of 6.5-inch gadget, which is the phone as well as tablet. First, compared with the ordinary smart phones, SANEI G605 is 6.5-inch screen is larger. Second, compared with most tablets, Sanei G605 3G version is more portable, which can be put into the bag as well as in the pocket. Third, the 6.5-inch gadget can be held with just one hand and you won’t feel tired even with calling or playing games for a long time.